Professor Christiana Chinwe Okechukwu, Ph.D. (Founder and Centre Director) is a scholar, rhetorician, poet, and novelist. She received the B.A. English and the M.A. Comparative Literature (Africa and Caribbean) degrees from the University of Nigeria, Nsukka, Nigeria; the M.Ed., Teaching English for Specific Purposes from the University of Exeter, Britain, and the Ph.D. degree in Rhetoric (with a focus on Rhetoric and Public Life) from The Catholic University of America, Washington, D.C. She received the British Council Foreign and Commonwealth scholarship Award to work on an M.Ed. Degree on Teaching of English For Specific Purposes in 1989, a summer Hornby Trust Award to Britain in 1988, and Gani Fawehinmi to Ten Best Nigerian Final Year Secondary School Students in the Federation of Nigeria. While in Nigeria, she had coordinated the general Studies English for the former Anambra State University of Technology from 1987 to 2001. 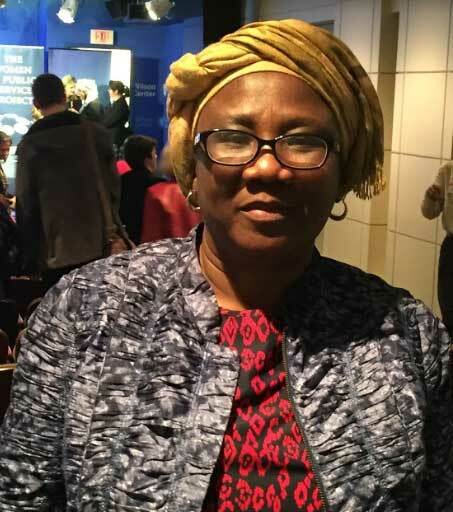 In both Nigeria and the United States, she has taught and coordinated courses in African Literature, Caribbean Literature, Advanced Composition, Communication skills, English Composition, in colleges and Universities. Dr. Okechukwu has published prolifically: her book, Achebe the Orator: The Art of Persuasion in Chinua Achebe’s Novels (Greenwood Press, 2001), received strong, positive reviews; her article Oratory and Social Responsibility: Achebe’s Arrow of God was published in Calalloo: A Journal of African-American and African Arts and Letters (2002); her creative writing: her poem When Your House is Burning was published in Out of the Rough: Women’s Poems of Survival and Celebration; another poem, Is It Right, and two short stories, Safer Ground and Happy Survival, were published in Forced From the Garden: Poetry and Short Prose by Women (2003); her dirge, When the Vulture Is Sick, composed in honor of a fallen Igbo hero, Dr. Chuba Okadigbo (2003). Apart from publishing a scholarly book, poems in anthologies and scholarly articles, she has published a novel, The Predicament, (1998), two collections of Folktales, Folktales Among the Igbo (1997) and More Folktales Among the Igbo (1998); a novel, The Predicament (1998); a Collection of Short Stories, When Rain Beat the Cow in The Eyes (1998); a Collection of Poems, The Augean Stable; and a children’s book, Tortoise, the King, and Elephant. INWELLE the pet name of my ancestor Enwelu m mmadu, meaning “I have somebody who can help,” is the force that propels the Inwelle Study and Resource Centre concepts and their executions. Inwelle Centre seeks to propagate the concept that anybody who has someone to help will always be able to accomplish great things. Therefore, Inwelle Centre programmes will always be geared towards helping the underprivileged at any opportunity that presents itself. We at the Centre hope to empower the participants, especially the indigent youths, and women at the Centre to achieve academic success and tap into the global village. Thank you all for being part of our exciting Centre. I also thank you on behalf of the youths at the Centre whose lives you help to enhance. We will not be able carry out our projects without your support. We were able to install our VSAT. 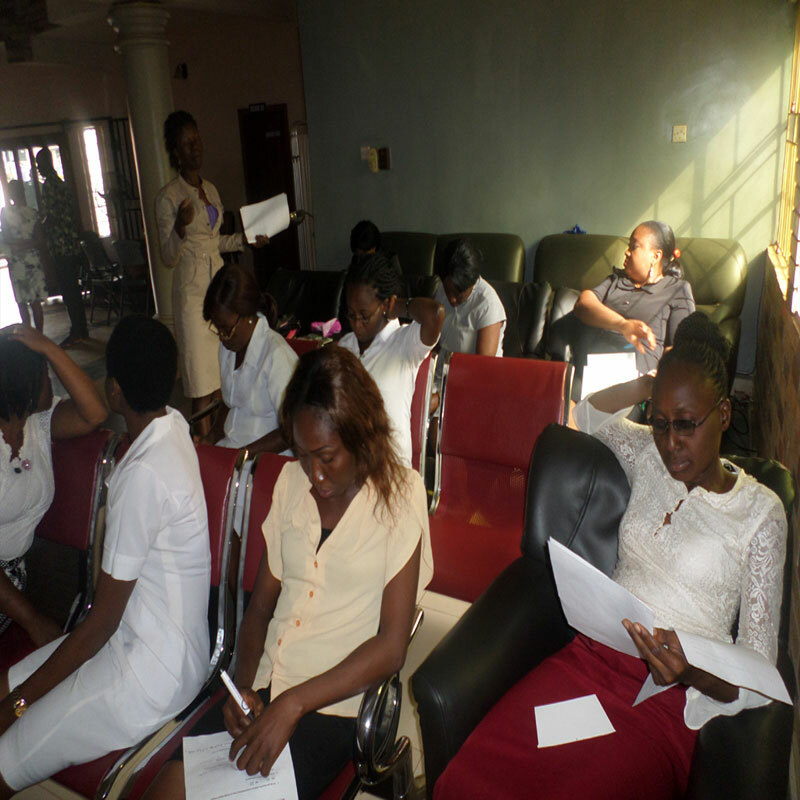 We were able to hold a life enhancing Participatory Learning Boot Camp. We were able to carry out our Catch -the –Young Project. We have had three symposia since we started in 2007. Every year, we have continued to make a bigger difference than we made in the previous year. We have been able to train many young people to become computer literate. We housed and fed youths during our articipatory academic boot camp. A great number of our boot camp participants have been emboldened by their experiences. Some have been admitted into the area universities as they were able to pass their college qualifying exams. Some have become technologically savvy. Some of our youths now feel confident to write their college essays. Some even present at symposia– a sign of great things to come as we keep forging on in empowering the youths to realize their potentials. 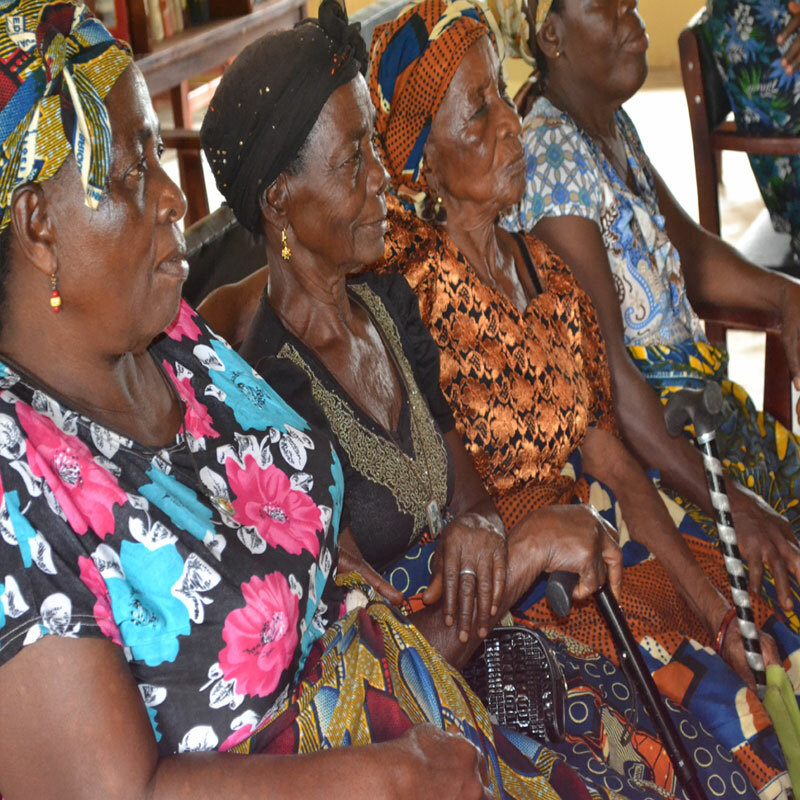 Global Fund for Women supported us in 2009. We thank officers. Their help enabled us to have internet connection at the Centre. We are still appealing to our various Inwelle Friends and supporters to keep on believing in our projects and supporting us so that we can execute even greater projects in years to come. Our focus for the next two years is the place of youths in a democratic process and preventing violence against women. We are embarking on our virtual village square project by the end of 2012. Once again, thanks for supporting us. Founding President & Executive Director, Inwelle Study & Resource Centre, Enugu, Nigeria. Carry out projects that will impart skills that will enable youths and women work and pay for tuition while going to school. Educate families and the community on the need to channel youth energy into self- sustaining projects that will make them face adulthood with hope. Provide a central place within one hour driving distance for the faculty and students and researchers in the higher institutions to go and research in an academic materially rich set up. Provide a conducive atmosphere for study and research. Provide a place for longer stay such as weekends where necessary for the purposes of research. Hold seminars and symposia for the area faculty and researchers, young people, and the community. Give mass computer literacy training Expand the participants’ learning experience through the use of digital resources, and impart skills in information processing and information technology acquisition. Convene international conferences so as to give opportunities for those researchers and faculty that could not go outside the country to meet with their counterparts from other places. Encourage exchange of ideas further by hosting short term 2-4 weeks seminars involving teachers abroad and those within. To achieve the above, the Centre has a rich library, conducive reading rooms, and enriching workshops and seminars to keep at-risk young people and women, university students and their teachers, and the general community abreast of knowledge in all fields of endeavour, empower students to take charge of their education and their career.